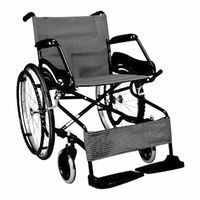 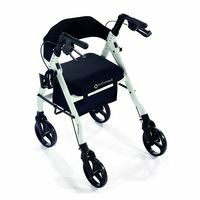 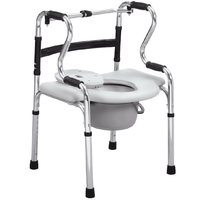 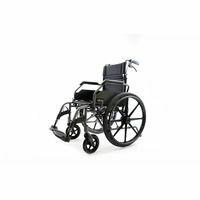 This foldable, light-weight aluminium walker comes with two wheels in the front that makes it ideal for extremely weak people. 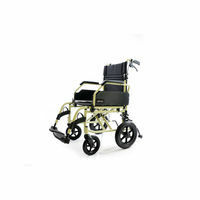 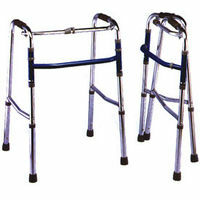 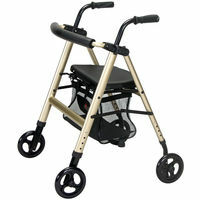 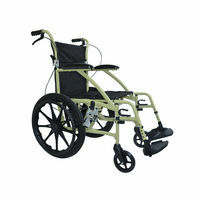 As there are wheels only on the front legs and the back legs are normal legs, the walker moves only when pushed (ensuring that it does not run away/roll away by itself). 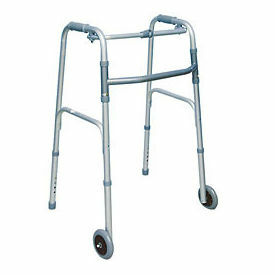 This is a very safe option even for the most infirm.